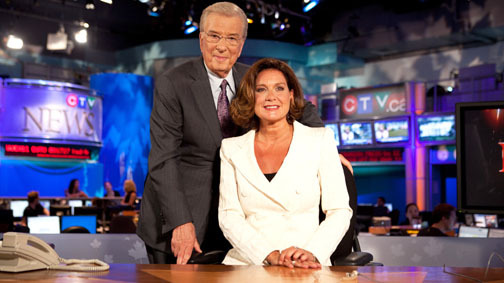 On Thursday, September 1, 2011 a significant broadcasting record was broken, when Lloyd Robertson wrapped up his final newscast on CTV. After 41 years at the top of his game, Mr. Robertson has anchored Canada’s top-rated national news through the terms of eight prime ministers, three Olympic Games, the moon landing, Terry Fox’s Marathon of Hope, the fall of the Berlin Wall, the death of Princess Diana and 9-11. He’ll go on to do other projects at CTV. PHOTOS – Lloyd Robertson and his successor Lisa LaFlamme; Lloyd near the beginning of his radio broadcasting career at CJCS Stratford. 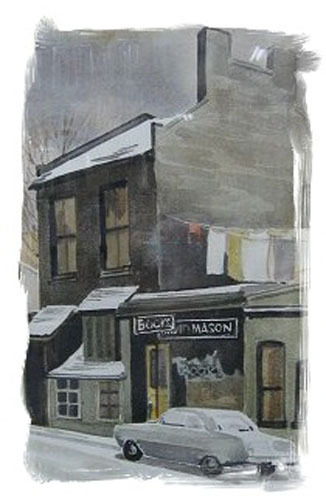 Gerrard Street Village, between Yonge and Elizabeth Street, was the city’s bohemia from the 1920’s until the late 60’s and early 70’s. Ernest Hemingway called the Village home. 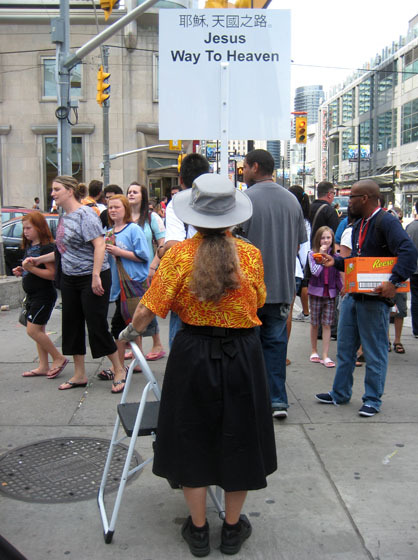 Margaret Atwood, Milton Acorn, Al Purdy, Michael Ondaatje, Joe Rosenblatt, Avrom Isaacs, David Mason, Ken Danby, Robert Bateman, Lawren Harris, Albert Franck and Marilyn Brooks all walked its streets. Some lived above the candy-coloured stores, ate at the Limelight or Mary John’s Depression-era restaurant, and frequented the bookstores. Today, you’d never know the Village had even existed. 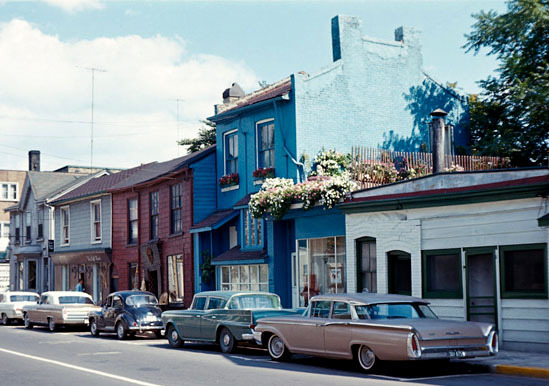 All that’s left of this charming little enclave – now called the Discovery District – is a block-long row of Victorian houses. It’s a lost village, living on in the memories of those who loved it once upon a time. Toronto Botanical Garden, 777 Lawrence Avenue East at Leslie – it’s a beaut! TORONTO’s best combo of parks, gardens and ravines can be found in the upscale Lawrence Avenue East/Leslie Street area. Easily accessible by public transit, bicycle and automobile, the Toronto Botanical Garden, Edwards Gardens and Wilket Creek Park lead from one into the other. And it’s all FREE, including the parking. Toronto Botanical Garden, 777 Lawrence Avenue East, is one of Canada’s finest urban gardens. It’s compact, somewhat hilly but easily walkable, and offers free tours (May to September), Tuesdays at 10 am and Wednesdays at 7pm. One of photography’s most recognizable images, American Girl in Italy (1951), is the work of Boston-born Ruth Orkin (1921-85). The picture shows a young woman walking past a lineup of sidewalk romeos in Florence. The woman, then 23, is NINALEE CRAIG. She was born in the US and now lives in TORONTO. In 1951, Ms. Craig quit her job in New York, boarded a ship bound for Europe, and spent six months traveling in France, Spain and Italy. In a dollar-a-day hotel by the Arno River, she met another adventurer – film maker and photographer, Ruth Orkin. The two of them went out one morning and shot pictures of what it was like to be a young, single woman traveling abroad. The most famous of those photographs, was created in only two takes. Ms. Craig walked past the whistling lineup twice, the reactions were spontaneous and undirected, and the image became a classic.